Over the years, Frank became well known in the community for the services he provided. Frank’s goal was to build a successful business to support his family and one day pass it down to the next generation. As his three children grew older Frank began to pass his knowledge on about the fire, smoke and water restoration industry and got them involved in the day to day activities. In 2007 Frank invited his son, Ed, into the company as a partner. Through this transition the company’s name was changed to Voce Cleaning, LLC. 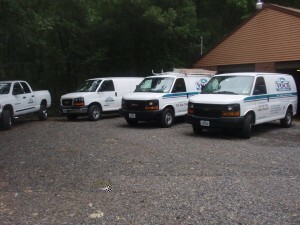 The company is now owned and operated by Ed as Frank continues to assist in daily functions with insurance companies. The company’s mission has not changed through the years as they still strive to provide value added services. Through the years the company has evolved into other areas of the cleaning world such as residential and commercial carpet, tile and upholstery cleaning and floor maintenance. With the families extensive knowledge and trained employees, the company continues to grow with the industry.